Never been to Yamba? Here’s what you’re missing. If you’re looking for a great place to stay in New South Wales, Australia, you may have come across the town of Yamba. This quaint town has become one of the most attractive holiday destinations in the country, and for good reason. There’s much to do, plenty of natural beauty, and it’s relatively quiet, so you can avoid the crowds and get the rest everyone looks for in a holiday. So if you haven’t been to Yamba yet, here’s just a little of what you’re missing out on. Australia is known for its surfing, and Yamba ranks high amongst the country’s most appealing wave breaks. Turners Beach is shielded from wind by the point and break wall, offering decent-sized waves in water that’s safe for surfers. As if that wasn’t enough, wild dolphins thrive in the area and are often spotted by travellers. You don’t need to be a surfer to enjoy the beach – and Yamba has 11 of them to please every kind of holiday-maker. Five are near the town centre, including Yamba Beach, with its 33 metre rock pool. Whiting Beach is family-friendly, while Pippi Beach includes access for 4-wheeled vehicles. If you love to snorkel, then Spooky Beach should be high on your list of places to visit in Yamba. Yamba’s the perfect place to escape the frost during winter. The town is situated in one of the mildest locations in Australia, and swimming is never off the cards, with the water temperature warmer in winter, compared to other destinations. Besides spending the sunny days on one of Yamba’s 11 beaches, there’s plenty more things to see and do around town. Popular brunch locations include Leche Cafe, and Irons & Craig. On Wednesday mornings, you can visit the Farmer’s Markets and see what the local artisans have to offer. Afterwards, do a little shopping at Shack on Coldstream Street, or go fishing on the Clarence River. 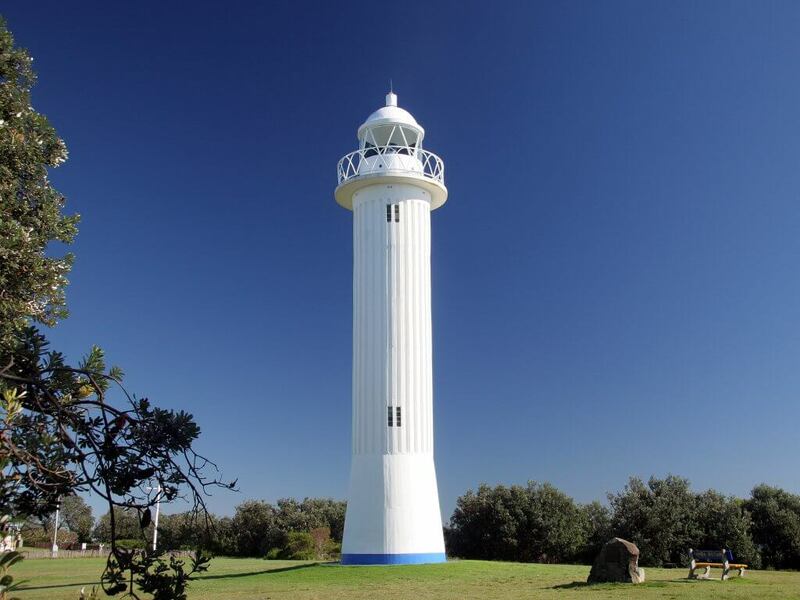 A Yamba must-do is, of course, visiting the iconic lighthouse, and if you’re into history, you can learn moreabout this little coastal town at the Yamba Museum. Everyone is welcome in Yamba, including young families, with plenty of sights and activities to entertain all ages. The town is never too busy to enjoy, so you can relax and see the sights without fighting crowds. Ready to visit Yamba for the first time? The Cove Yamba is one of the most centralised, family-friendly accommodations available in town, and just steps from the beach. Contact us today to reserve your apartment and make the most out of your Yamba stay.